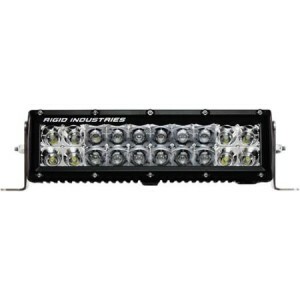 Each 36″ LED light bar reviewed here provides a big boost in luminosity over most 32-inch light bars for moderately more cost. 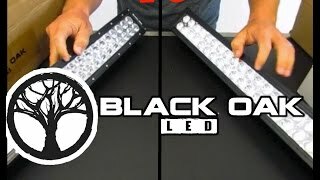 If you have the room for a full yard of light bar, then consider one of these products. 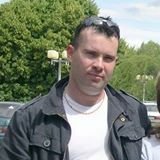 They are, of course, popular with 4×4 owners who like cruising unlit trails or hunters looking for game big and small. This size makes a tremendous navigating light on watercraft or a superb scene illumination tool for construction, public service or EMS vehicles and equipment. Eyourlife has packed this 36-inch LED light with 78 high-intensity 3W CREE LEDs to output over 16,000 lumens of crystal bright light at 234W of input. The beam features 70 percent spot beam optics with phenomenal reach and generous side lighting from 12 flood LEDs on each end. The heavy-duty aluminum housing and polycarbonate lens provide an IP67 intrusion rating. It mounts easily thanks to three sliding, channel mounts with vertical rotation. With 70 percent of the length dedicated to the spot beam, this Eyourlife 36-inch LED light has extra lighting oomph down the center. You are unlikely to outdrive it. Besides the astounding brightness, buyers are very pleased with the flexible channel-mount design, which makes adapting the light to your vehicle or specific mounting location a breeze. It has a cut-above IP68 intrusion rating. 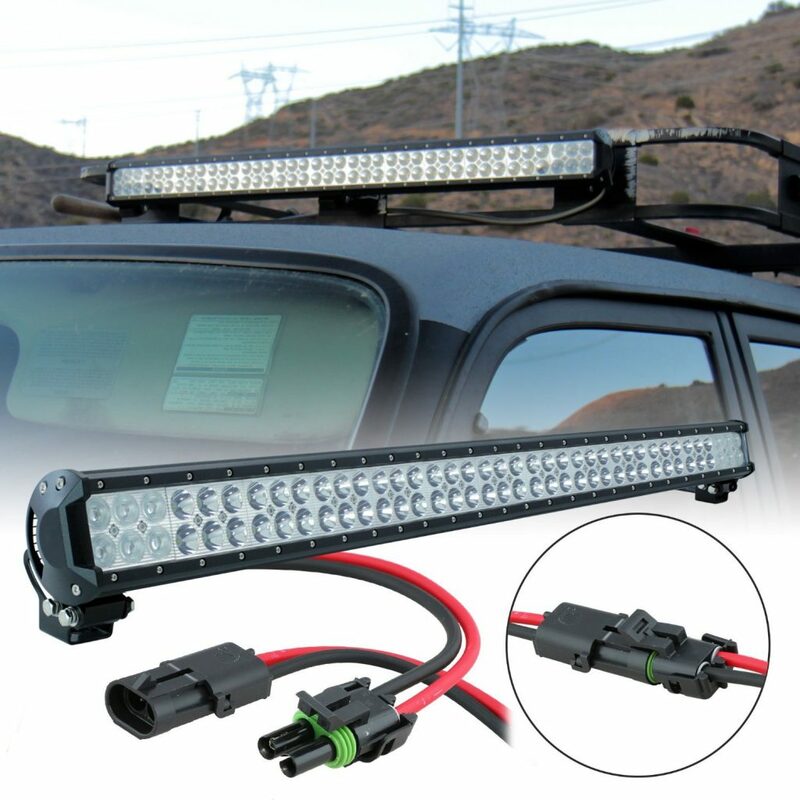 Despite the lack of a wiring harness, this 36″ light bar is a decent value considering the outstanding amount of deep, penetrating beam it provides and the quality of the LEDs and housing plus the convenient channel mount design. It offers a great fit for 4x4s, trucks and watercraft. The 36-inch Lamphus Cruizer light bar concentrates most of its 78 3W CREE LEDs straight ahead to produce a lighting depth of one kilometer ahead of your vehicle. Its 18,500 raw lumens of lighting power split the darkest nights right down the middle. Yet, the two end flood sections provide expansive side lighting as well. It features a diecast aluminum housing, shatterproof PMMA lens and an IP67 intrusion rating. An astounding 85 percent of the optics in the Lamphus Cruizer are dedicated to the spot beam. It may not be fair to even call this a combo beam, which a few buyer reviews have noted. It has a nice waterproof disconnect, but no wiring harness. If you want the longest reaching beam in a 36-inch light bar, this light bar may suffice, but note that a few buyers have noted quality problems. 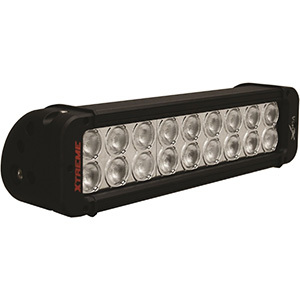 In the 36″ light bar class, the Cruizer stands out for the highest percentage of spot beam and a very affordable price for the overall brightness. Its channel mounts and IP67 wiring connector make this a decent value. 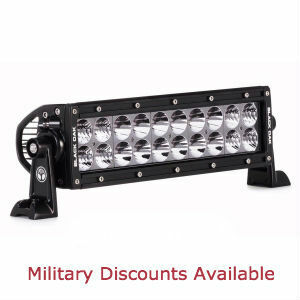 The Nilight 36-inch light bar performs as well as similar light bars in its length but at a more economical price. Plus, it is backed by a 2-year warranty. It uses 78 high-performance 3W 30,000-hour LEDs and true flood/spot combo optics to produce a bright, broad driving beam that sets trails and back roads awash in light. 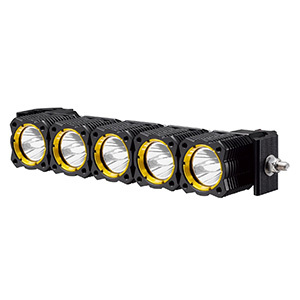 The IP67 housing is 6063 aluminum and features integrated deep-fin heat sinks and a toughened glass lens. This is the only 36″ led light reviewed that comes with a 2-year warranty. It is also the least expensive. Build and performance are very close to the Lamphus Cruizer although it only comes with two sliding, vertical-rotation channel mounts and corrosion-resistant hardware. There is no wiring harness included. Although it averages 4.6 stars in buyer ratings, it is not as widely reviewed as the other 32-inch lights described here. If you are looking for an inexpensive 36″ light bar with decent specs, the Nilight product is a good one to try. At well under $100, it represents sound value and is backed by a 2-year warranty against defects. In short, it is bright, cheap and well built. 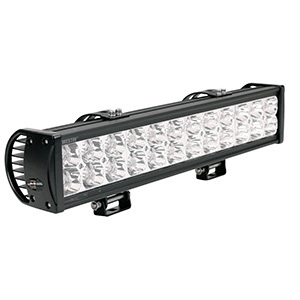 All three of the 36-inch LED light bars reviewed here offer an exceptionally bright beam along with a durable housing, cool-running heat sinks and channel mounts. What really distinguishes one from another are how much of the optics are dedicated to a spot beam versus flood beam. In that regard, the Lamphus Cruizer is almost pure spot, the Eyourlife has a bit more flood beam and the Nilight comes with a more typical blend of roughly 50/50 spot/flood optics. Otherwise, these all represent excellent value for lighting up the darkest corners of your driving experience.